These are the final worlds spoken to the ALIEN Queen! In Legendary Encounters: An Alien Deck Building Game Expansion, players will not only get to battle the ominous Queen, but also be able to play against other players as the ferocious Queen of the Xenomorphs. Once again, players will work together in a cooperative environment to complete objectives and win the game through all new scenarios based on all 4 original films. Work Together or Die Trying... 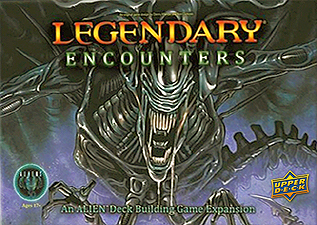 Welcome back to Legendary Encounters: An Alien Deck Building Game.